Denna produkt ger dig 299 bonuspoäng. 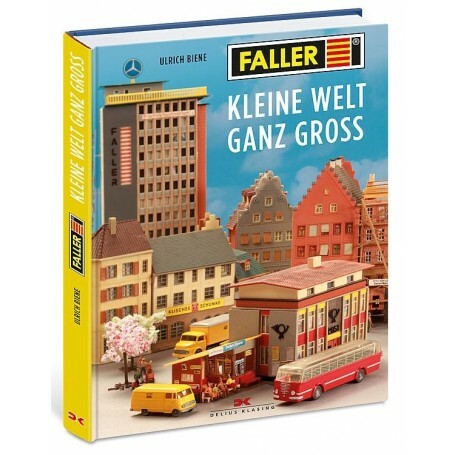 FALLER - Kleine Welt ganz groß - Retrobuch. Come our anniversary in September 2016, Delius Klasing Verlag is publishing an opulent, fully featured illustrated book by Ulrich Biene. Its 184 pages and some 200 colour photos are dedicated to the history of the company and the different milestones and priorities of the Gütenbach traditional company from 1946 until today. The book is available in book stores and from model-railway specialists.